Chocolate is a popular topic on this little blog this month… but why the hell not! It’s not like everyone doesn’t love it! I’m always happy when there’s chocolate around. I’m even happier when said chocolate is good for me! 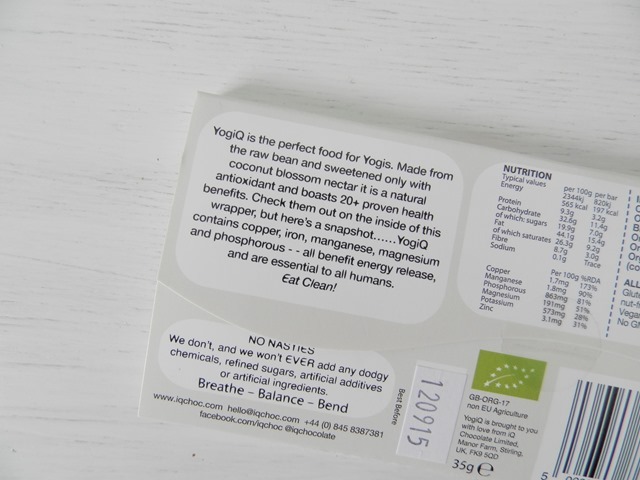 YogiQ Chocolate* is firstly one of the cutest, prettiest packaged chocolate bars I’ve had…. just look at that packaging! But secondly, probably more importantly; is a rich, dark, gingery chocolate that has been specifically designed for Yogis and eat-clean fitness fans. 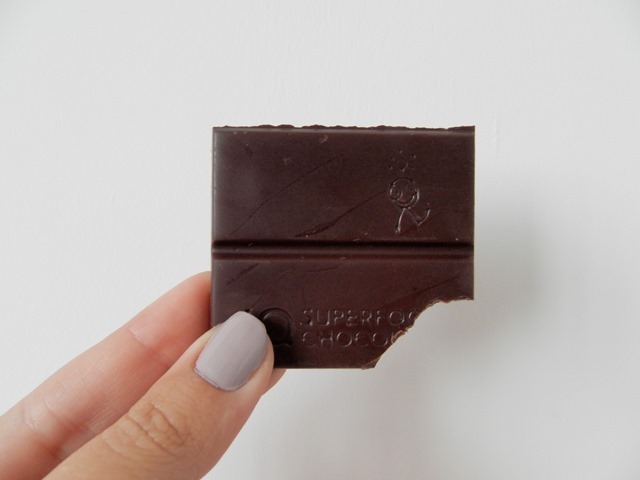 These organic chocolate bars are made from raw Peruvian cocoa and have a boost of ginseng and ginger which supports muscle function and energy release. 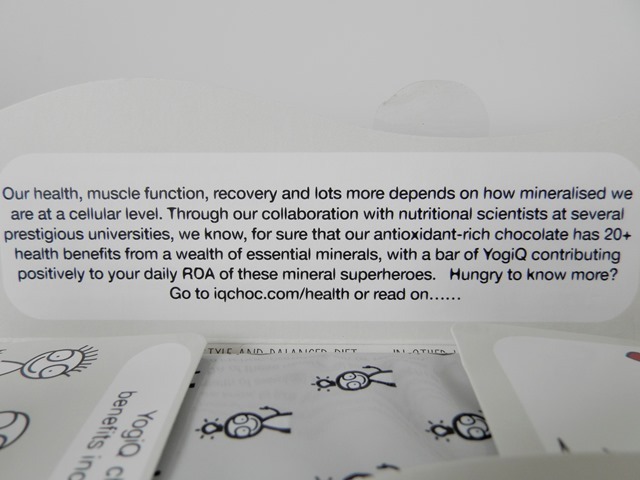 Filled with antioxidants, minerals and vitamins YogiQ Chocolate is the perfect snack after a workout. Plus as the quality is so good and flavour so intense you’ll only need a couple of bites! 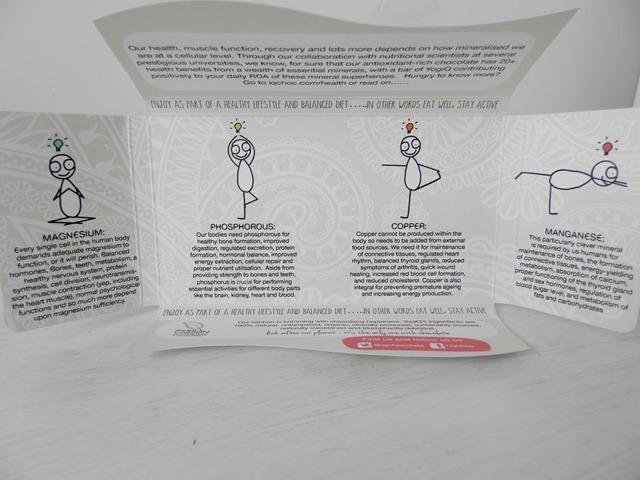 These organic chocolate bars have been created with yogis in mind and included ingredients that help the body after a workout. Ginger is know for its effect on the nervous system and its ability to promote relaxation. It’s also believed to help improve stamina and endurance as well as support the immune system. Ginger on the other-hand is thought to promote energy circulation in the body and increase the body’s metabolic rate as well as naturally booting the immune system. So this little bar is filled with wonderful ingredients that will make you feel great and really enhance that post yoga buzz. 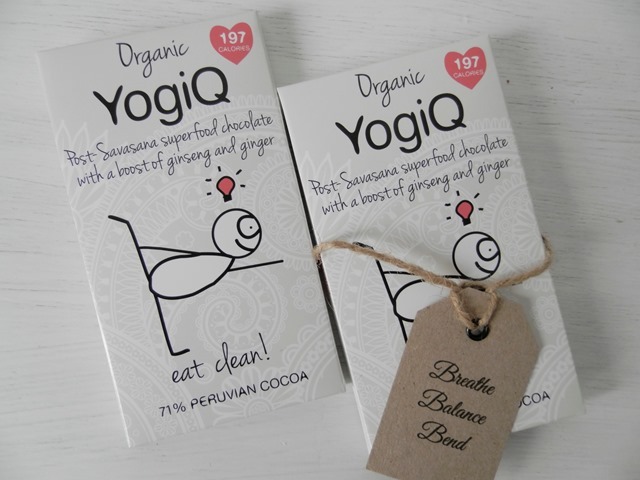 YogiQ Chocolate is made by IQ Chocolate a Scottish company who make a whole range of chocolate bars that are healthy, delicious, natural and irresistible. I have my eye on the Plush Peppermint Chocolate and Orange with Wild Raspberry. YogiQ Chocolate bars – £2.49 from Selfridge, Harvey Nichols, Whole Foods, As Nature Intended, Real Foods and Planet Organic. 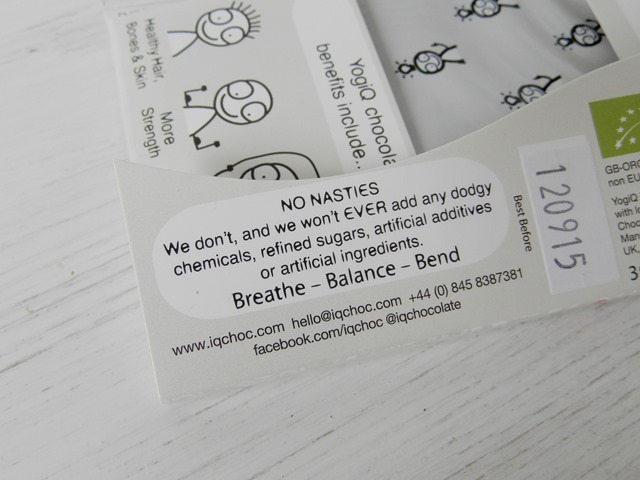 Have you heard of or ever tried YogiQ Chocolate? Is it a healthy treat that you could see in your gym bag? I know! Really clever concept really. I needed this yesterday! I am a chocoholic and have been starving myself from chocolate for weeks! I need to get my hands on a bar and give it a try. If I like it I will keep a box at my house! Thanks for sharing! Haha same here! The branding is amazing isn’t it! Healthy treats are the best! 🙂 Thanks for following. They have some of the cutest packaging I’ve ever seen. Can’t wait to find it and try it. Haha! Everyone loves healthy chocolate! I wanna try these are they all dark though? Yeah I think they all are hun. You not like dark chocolate?